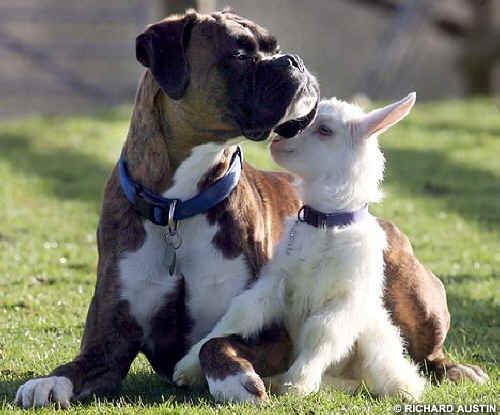 A paternal dog has adopted an abandoned baby goat as his surrogate child. 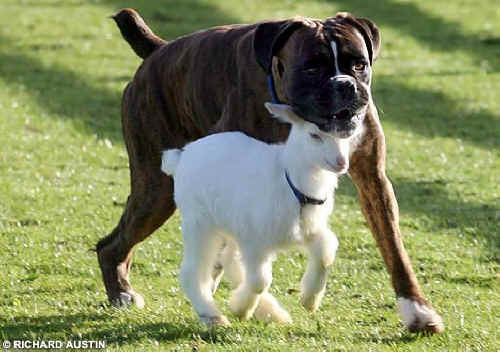 Billy the boxer has become the constant companion of the 12-day old kid called Lilly. He sleeps with the goat, licks her clean, and protects her from any dangers at Pennywell Farm wildlife centre at Buckfastleigh, near Totnes, Devon, England. The kid was abandoned by her mother when she was only a few hours old and adopted by Billy when his owner Elizabeth Tozer began hand rearing the goat. The unusual bond has developed over the last month and the pair are now inseparable. 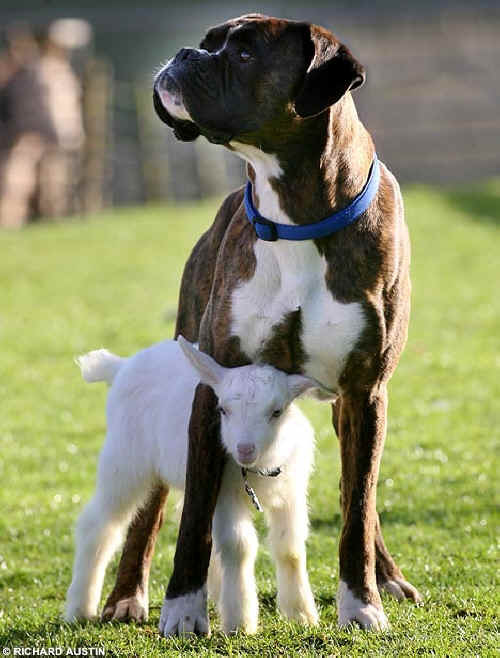 Billy the boxer protects his little kid. Lilly was the smallest of a litter of three kids and her mother abandoned her because she could only care for the two stronger ones. The pair have attracted quite a crowd at the animal center and the staff are keen to see how their relationship will develop.